A cheese with a fiery temperament! Try out this unique combination of mild Dutch goat cheese and fine chili pieces. Mild cheese with a kick. 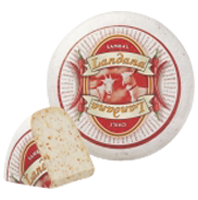 This milk-white cheese with red chili pieces is pleasing to the eye, as well as to the palate!